This fixture can be adjusted for overall height. Hanging Accessories Included: Chain-48", Wire-120". This fixture can be adjusted for overall height. Largo is an arts and crafts inspired, rustic, organic and charming outdoor collection with clear seeded glass. Clear bulbs are recommended for use with clear glass outdoor fixtures for the best aesthetics. 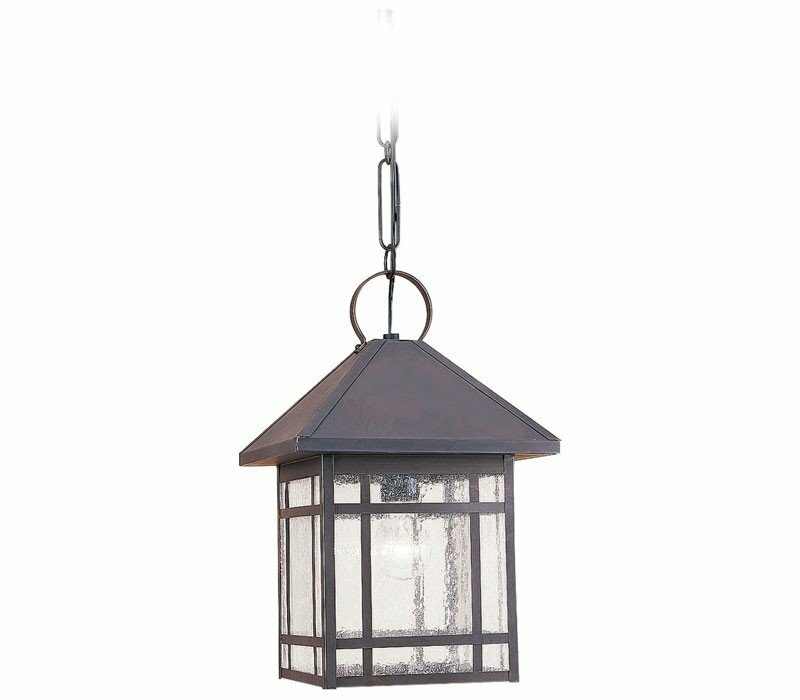 The Sea Gull Lighting 60010-71 Largo collection Outdoor Pendant Lighting in Antique Bronze uses Incandescent light output and brings Traditional style. This item is 17"H x 10"W x 10"L. The wattage is 100. The Sea Gull Lighting 60010-71 requires 1 bulb (not included). Additional Information: Shade-Clear Seeded Glass.